Happy 2019! So, I’ve been a little absent from the monthly challenges since – SEPTEMBER! That’s not to say that I haven’t been keeping busy trying to improve myself in some way or another – but I just haven’t had a focus for the month in a while. I’d like to blame the holidays and school year, but when it comes down to it, I just didn’t do it. Did I? Let’s start this year off with one of my favorite and much-needed challenges. 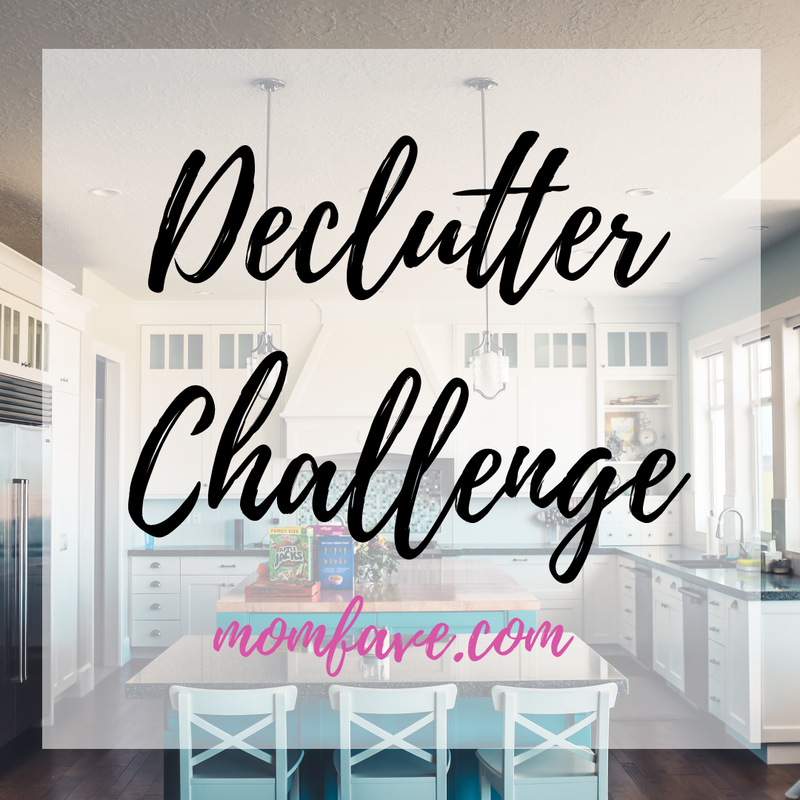 The dreaded declutter! 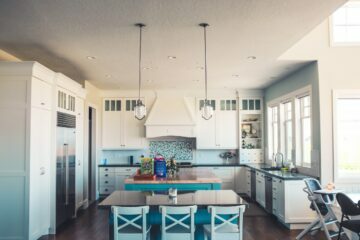 I like to accomplish a deep-clean on my house during our Christmas vacation and that is a great time to declutter. However, I found that when I went to clean this time – things were out of hand. My kids did a lot of growing, and I didn’t do enough decluttering of clothes. Well, my daughter did well on cleaning out her closet. But my son’s closet was long overdue for a good sorting and tossing. However, I still have much to do throughout the whole house. Sticking to any type of routine can be difficult – but it can be a lot easier and a lot more fun when you have the support of friends. 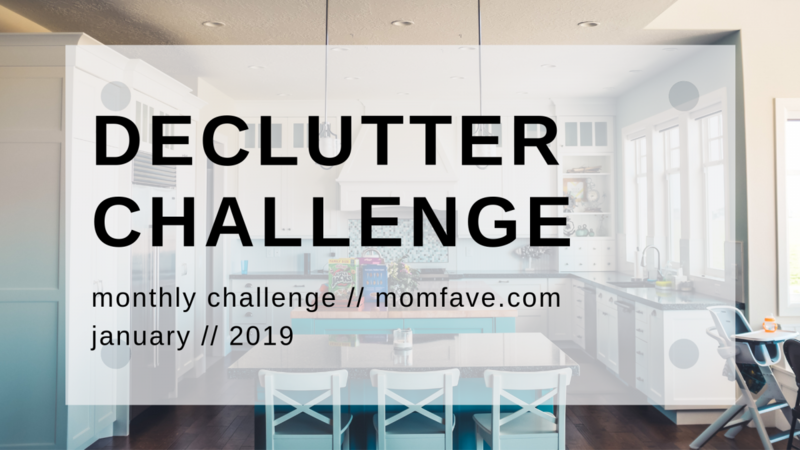 Every month, Mom Fave is hosting a challenge to help move us toward a better life. Challenges range from physically-fit motivation to financial and life-management activities. At the beginning of each month, we’ll post a Monthly Challenge that will focus on the topic of one of our Tribe Groups. 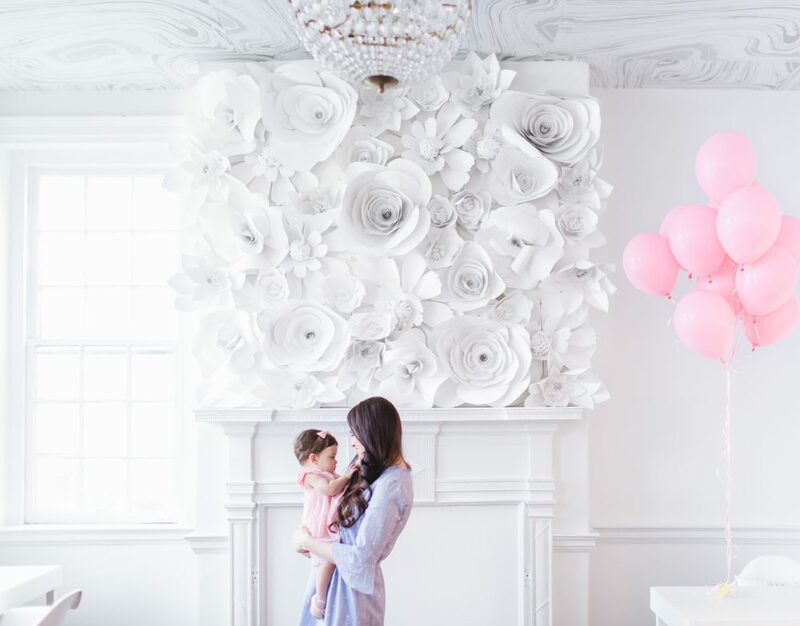 This month, we’re focusing on the Mom Fave Self Care Group. Each day in January, choose 5 items that you can: throw away, donate, give away, sell, or repurpose. Repurposing is good! A lot of times, this allows you to get rid of another item (or few). By the end of January, you should have lightened your load and stress of 155 items! And possibly add a few dollars to your account. Don’t forget to check back in February for a new challenge! Have a suggestion for the monthly challenge? Leave a comment below to add your suggestion!